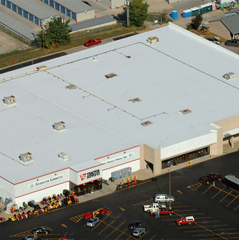 We have designed, constructed, inspected and maintained millions of square feet of vented roofs. Some companies design vented roofs and market them. 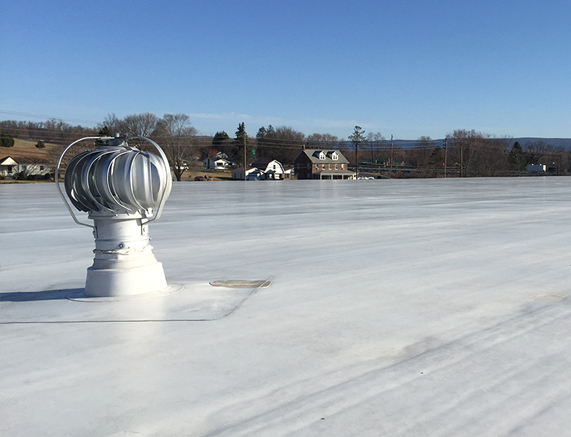 We assert that it is a completely different perspective when one designs vented roofs, markets them, installs them and warrants the design and installation against leaks. Beyond wind events and wind damage, there is the obvious fact that roofs protect buildings from leaks. So, do VADA vented roofs leak? They do not. By employing our unique vented roof design, we virtually eliminate flutter. No peel, no shear, no flutter; so, no pressure is transferred to the seams. 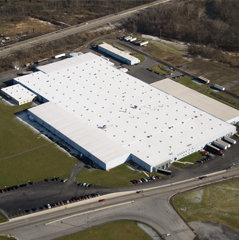 This 55,000 square foot project was completed in 2014. The building had been vacant for a number of years, and had developed numerous leaks. The scope of work included large areas of deck removal and replacement. 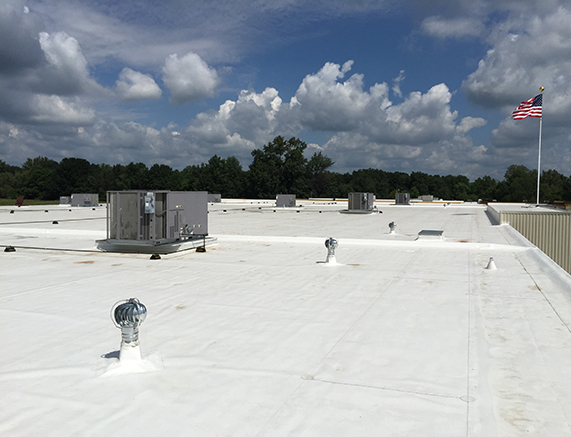 A 60 mil TPO membrane was installed using a VADA Vent design. 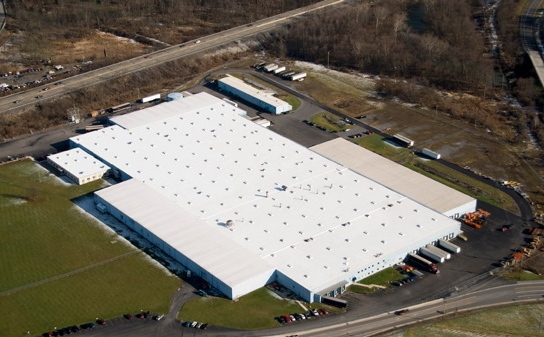 This 50,000 square foot area was previously covered by a failing standing seam metal roof. The metal flutes were filled with 2” insulation. Then, the entire area was covered with 1.5” isocyanurate insulation. The additional 3.5” insulation made a significant improvement to the comfort level of those working below. 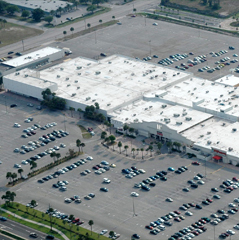 This 330,000 square foot project was reroofed in 2005. Insulation was secured using low-rise foam. Then, a VADA Vented Roof system was installed. 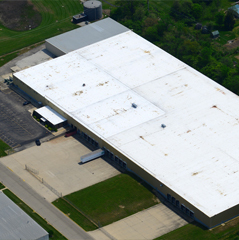 Roof System: This 500,000 square foot facility is covered with a 60 mil TPO VADA Vented Roof system. 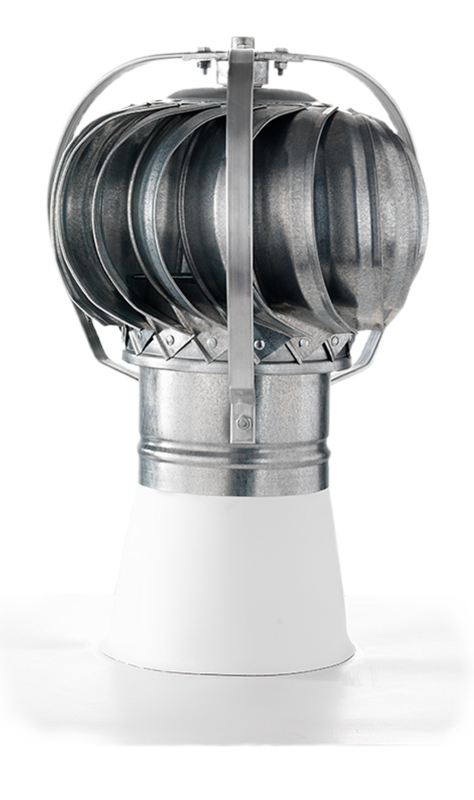 I’m pleased to tell you about our VADA Roof System that was installed. In obtaining the quote we were skeptical (due to the great price), however throughout the process to the project being complete was a breeze. On various parts of our Mall this system has been placed with no “wetness” issues or any issues for that matter. After the roof was installed, a terrible thunderstorm hit our town. Roofs were damaged everywhere. Our VADA roof was unharmed. We will continue to use this system until the building is complete! M-D Building Products has had the VADA System from ACI on our 500k+ square feet of flat roofs in OKC for over ten years and no failures. There have been numerous incidents of winds in excess of 75 mph across these roofs since they were installed and we have had no issues. It is Oklahoma after all. We even have photos of a small tornado that passed over the main building in 2007 and there were no issues with the roof lifting and no leaks after the event. ACI’s professional installation of this very sound system has performed well beyond our expectations and we will use it again the next time we have a roofing need. M-D Owner/Operator, Oklahoma City, OK.